In the spirit of this year’s theme of Our Time is Now, the Summit will offer a well-rounded program for women looking to strengthen their leadership abilities through workshops and presentations led by women leaders of diverse backgrounds. Professional headshots provided by Foschi Photography, and breakfast and lunch are included in the registration fee. 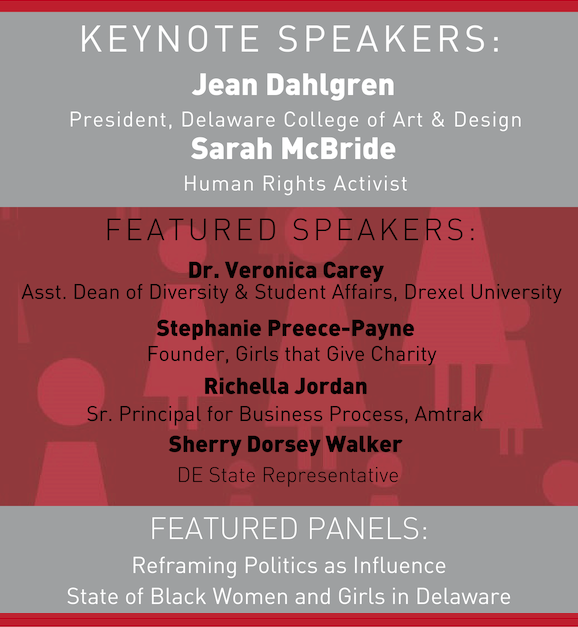 Attendees will also have the opportunity to connect with like-minded individuals and leave better equipped to be effective leaders in their workplaces, their communities, and their personal lives. Now available! Click here to purchase yours. 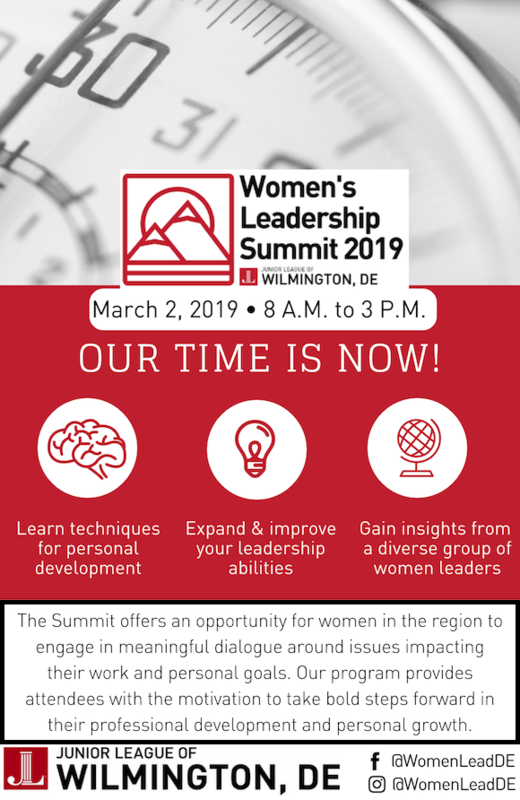 Proceeds of the Women’s Leadership Summit will support the Junior League of Wilmington’s mission of promoting voluntarism, developing the potential of its members, and improving the community through the effective action and leadership of trained volunteers. The League’s current community impact efforts focus on empowering young women to reach their potential and in turn positively impact the community. Our work this year includes hosting empowerment and leadership workshops for girls, as well as life skills workshops and other events with our partners Delaware Adolescent Program, Inc. and Bayard House. The League has also continued to promote sexual abuse prevention education and awareness, having recently spearheaded passage of Erin’s Law in Delaware. The law provides for age-appropriate, prevention-oriented sexual abuse education in public schools, and Governor Markell signed the bill into law during a ceremony at League headquarters in August 2016. The Junior League of Wilmington trains women to be high-impact volunteers and to serve in leadership roles in the nonprofit community. We provide our members with an array of formal training and experiential learning opportunities in our efforts to prepare them to serve the community beyond our organization. Some examples of the training through experiences are the opportunity to lead committees, run major fund raisers, present life skills workshops in the community, cultivate fund development activities, and manage, recruit, retain, and train new members.